Last month the Australian Government announced 12,000 resettlement places for people fleeing conflict in Syria and Iraq. The decision has been widely applauded by refugee advocates and heralded as a triumph of people power, given that it came after tens of thousands of Australians took to the streets in support of asylum seekers in the wake of Aylan Kurdi’s death. The resettlement places – which the Government has said are for the most vulnerable refugees from this region, including women, children and religious minorities – are in addition to an existing quota of 13,750 for the 2014-2015 program year. In fact, that figure is slated to rise by another 5,000 per program year in 2018. While of course nothing compared with the 800,000 places promised by Germany, an intake of this size is relatively unprecedented in Australia and presents both tremendous challenges and opportunities. 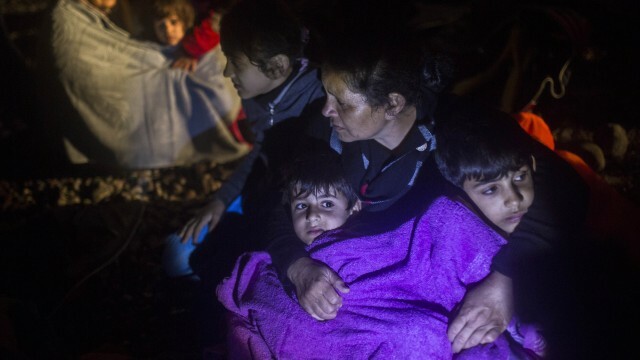 Security, identity, character and health checks at camps in Turkey, Lebanon and Jordan are reportedly already underway, with 200 refugees identified for urgent resettlement. Given that Australia’s existing Syrian community is largely concentrated in Western Sydney, particularly in the Bankstown and Fairfield-Liverpool areas, it seems likely that this region will see many of the 12,000 resettled there. Existing cultural networks and community supports will undoubtedly ease the transition of people who have endured the traumas of war, fleeing their homes and the uncertainty of life in squalid refugee camps. But community supports alone will not ensure their effective resettlement. Migrant services will need to be extended significantly to cater for complex and difficult needs. Social services, particularly those working with humanitarian migrants, are already desperately overstretched and under-resourced. For example, the Refugee Advice and Casework Service (RACS) lost a whopping 85 percent of its budget after last year’s budget. As the Liverpool Migrant Resource Centre chief executive Kamalle Dabboussy told the ABC this month, “The size of the problem is somewhat underestimated in areas where there’s very high concentration, particularly from very traumatised and high-needs communities.” It is clear that to facilitate the successful transition of existing and future refugees into Australian society, governments must better coordinate and provide far greater investment into settlement services. Even prior to the latest announcement, the Refugee Council of Australia has raised concerns about increasing demand for the Settlement Grants Program this year. They have called for better coordination between various levels of government and highlighted the ongoing challenges faced by service providers due to major funding cuts. At present, spending on settlement services pales in comparison to the $2.91 billion the Government spent in the 2014-15 financial year on detention and compliance related programs for asylum seekers who arrived by boat. If today’s refugees are provided with adequate support to build a new life in Australia, they will provide a valuable contribution to Australian society, cultural diversity and the economy, just like Jews fleeing Nazi atrocities in the 1930s and Indochinese escaping war and persecution in the 1970s and ’80s. Reflecting the incredible resilience of those who survive refugee experiences, these communities have higher levels of education and home ownership than the overall Australian population. In fact, according to an Australian Bureau of Statistics report from September 2015, refugees are the most entrepreneurial category of all permanent migrants. All levels of government must coordinate to ensure that the incoming group of refugees are provided adequate support in accommodation, finance, healthcare and education, so that they may rebuild their lives in Australia. It is fantastic news that this government has announced its intention to offer protection to some of the world’s most vulnerable people, thereby meeting Australia’s international humanitarian responsibilities as a signatory of the Refugee Convention. Australia must now plan for and adequately fund the practical reality of doing so.